sephora‘s sale (15% off in stores & online with the codes vibticket & ticket) starts tomorrow for VIBs and on Friday for BIs, so I thought I’d share what I’m considering. I’ve been wanting to try out some of the naked and naked 3 palettes, the new matte lip crayons and lip mask from bite, clarins‘ beauty flash balm, heat wave lipstick from nars, and the insanely adorable cheek pop blushes from clinique (I’m eyeing the ginger shade). 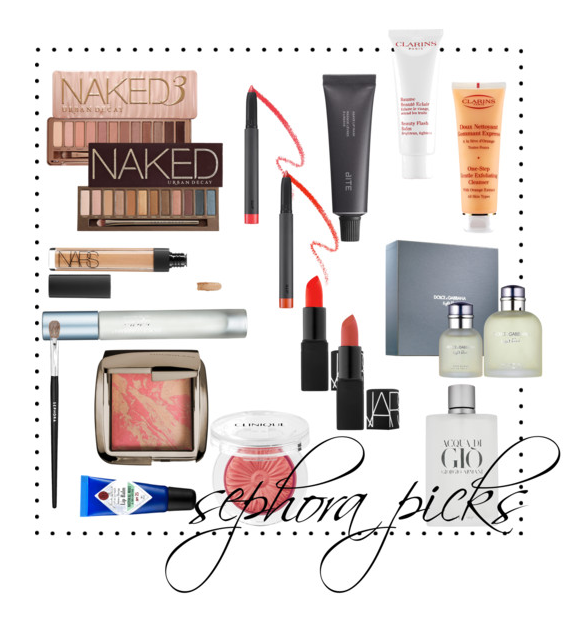 a second hourglass ambient lighting blush in luminous flush is also currently in my cart. I’m in need of a blending brush and refills on perfume, concealer, dolce vita lipstick, lip balm, and exfoliating cleanser. and for my guy, a refill on cologne. it’s a toss-up whether he goes for the tried and true acqua di gio from armani or something new, like light blue from dolce & gabbana. I’m off to pare down this list to something reasonable by tomorrow. what’s on your list? Aw man! I just ordered from Sephora last week… if only I’d waited a little while. You’ve got some great picks! I really want the ambient lighting blush.